...it is frustrating to see so many photos of unidentified people and specimens. Great news for me to read these comments because it takes a lot of time take the photos, process the photos, make a choice on photos of others, delete with Photoshop the dates in the photos when them appear, publish them, search for the right names, don't do typos or mistakes on these names and even publish good photos of minerals to satisfy everybody. So, as unfortunately in general I do not have much time available, from now I will publish the posts I really like to publish and, as usual, I will try to do it in the best, proper way I can. I'm sorry you were disturbed by my comment, it was not my intention, I just wanted to see minerals. After writing, I thought: if I should be grateful that Jordi created the Forum, but I did not write it, so it's better late than never. Thanks Jordi. As others have now clarified, my comment about unidentified people in the photos (and mineral specimens as well) was not directed at anyone in particular. 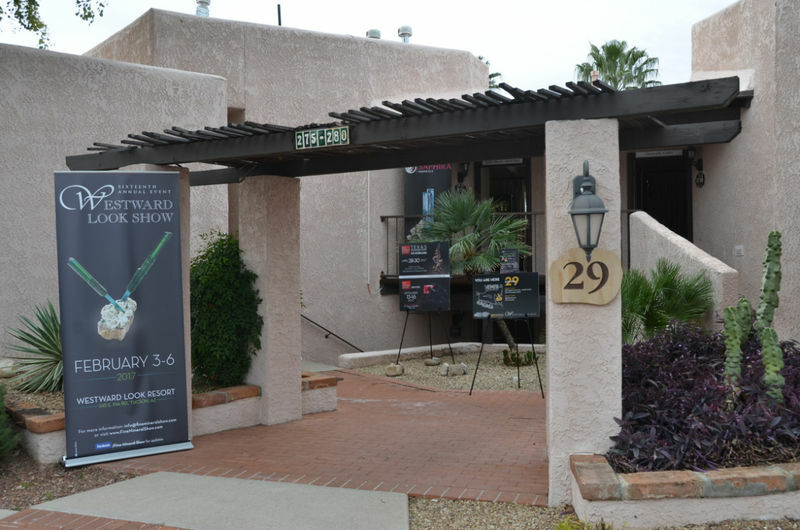 Just a general observation, over the past several years, that this has been the case with the post-Tucson Show pictures. Just chiming in to say that I GREATLY appreciate the time and effort that all contributors put into these show reports. I'm sure I speak for many out here on the cyber sidelines. 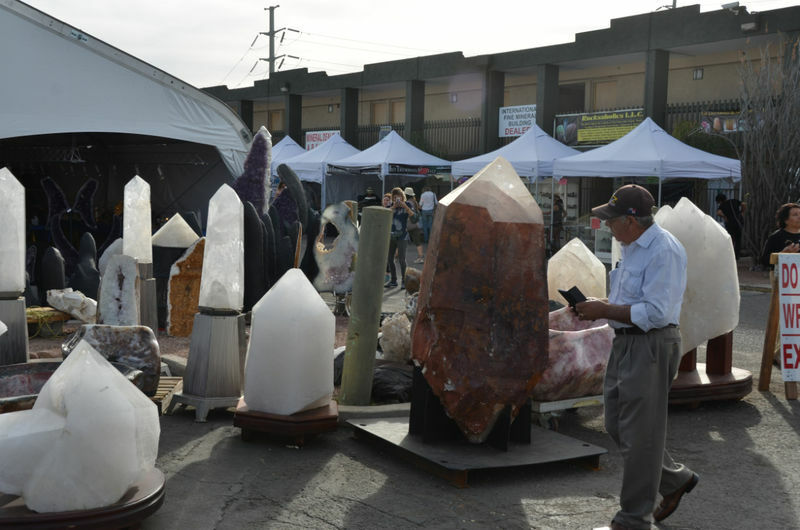 They give me a sense of connection to the shows and to the mineral community, even when I'm unable to attend. Many thanks to Jordi, Gail, John (intentional or not! ), and all others who contribute to the reports. I can honestly say that all my pictures were labeled and definitely were not from high-end shows. While I visit those shows for the specimens, the other shows meet my budget with good specimens. Further the quality at the 'peripheral' shows for run-of-mine people is often nothing to laugh at even in comparison to high end. Hi Jordi. Thank you for the photos. 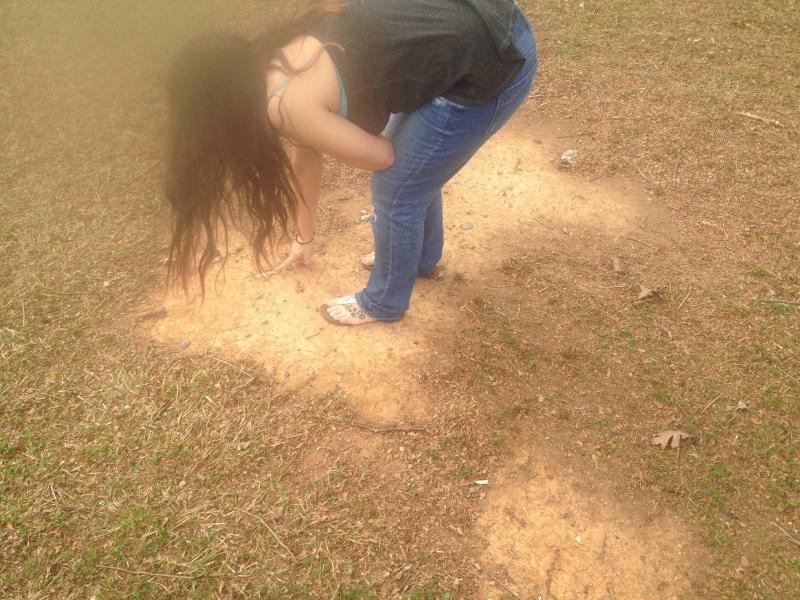 On the last few photos in particular, I see lots of mineral specimens but very few people. Is that because it was late during the show? Was business good for the average dealer? I saw very few people at any of the shows at opening times and for a time thereafter in the mornings. As an early riser and collector this was great for me to look and discuss. Not so much though for the dealers. -	During the TGMS club show, I prepared a flat of nice material to give away to kids who stop by my booth – I gave away exactly one piece. At the Flagg Show I gave away quite a few more but – in spite of my “Free to Kids” sign – I had to run after some kids to give them something. 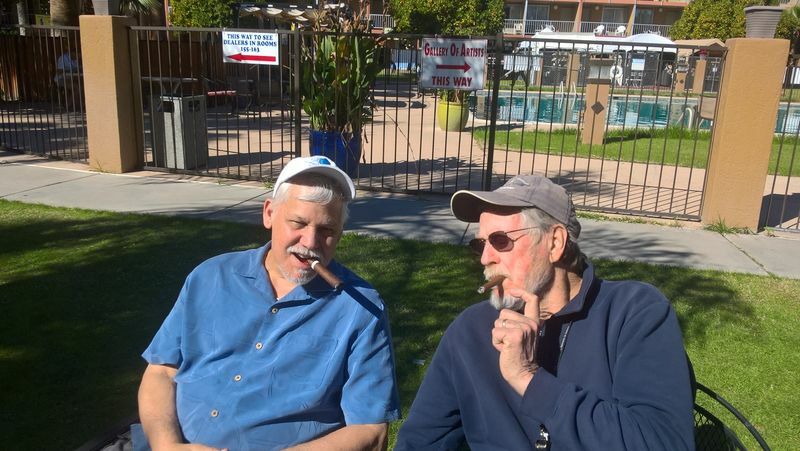 -	I belong to two Clubs and the average age of members is north of 70. -	I deal in medium to upper middle grade pieces and it has become extremely difficult to buy pieces – even at wholesale (whatever that means) – that I can markup reasonably and sell in this lifetime. I worry about the future of the hobby that I love – but maybe we’ve just been spoiled so much over the last 20+ years (the so-called “Golden Age of Minerals”) that a “bump in the road” like that we’re seeing now is a shock. I hope it’s a bump. I have talked about this subject on numerous occasions and to numerous collectors and I echo BOB K's thoughts. General collecting today is not nearly as popular with younger people as it was in the 1950s and 1960s. Back then younger kids virtually all collected something.....stamps, coins, rocks, baseball cards etc etc etc.....something. Well coins in the USA went by the wayside in 1965 when silver coins were eliminated; no more looking for older stuff. Stamps went by the wayside about the same time when all the newer generation peel off types came into common usage and rock collecting went by the wayside when vast numbers of walk in sites became extinct due to urban sprawl and other sites closed down to collectors of all ages due to liability concerns. Youngsters starting off with field collecting is a shadow of its former self. Today many field collecting sites are either extinct or commercial operations under claim and using heavy equipment. Also sports and social media has usurped youngsters time away from their parents' hobbies. 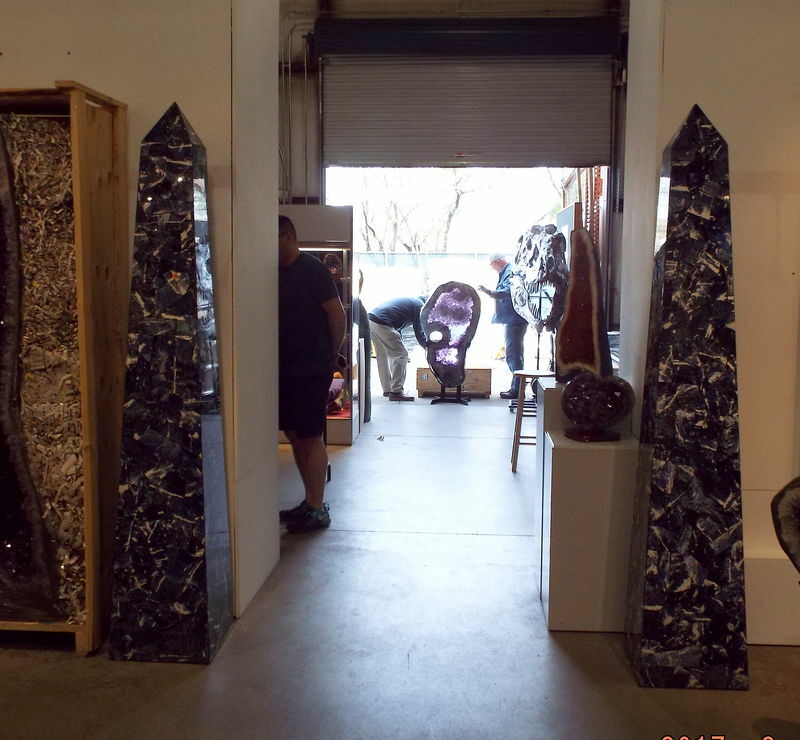 The bottom line today is that there are fewer young collectors; more collectors are older, commonly turning to it in middle age or close to retirement. Many of these collectors tend to have financial resources (buying from middle range and higher end dealers) while the less affluent collectors simply lose interest after looking at the higher prices and poor quality of their lower end examples. Then as BOB K noted the costs of collecting and dealing are way up from years ago. Looking at flat after flat after flat of much material on today's market is not pretty. 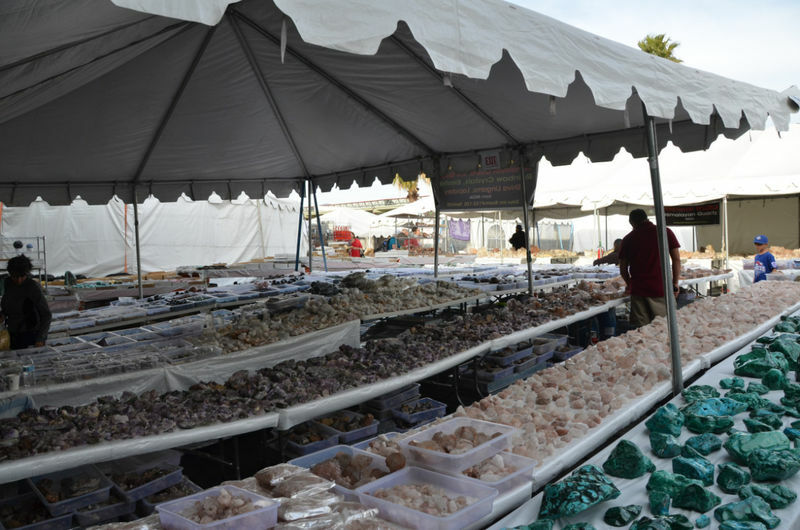 Unlike stamps and coins where you collect to fill a specific space, there is a nearly endless supply of middle range rocks of many types; far more than the whole collector community can absorb. Who can really set a fair price for this stuff. 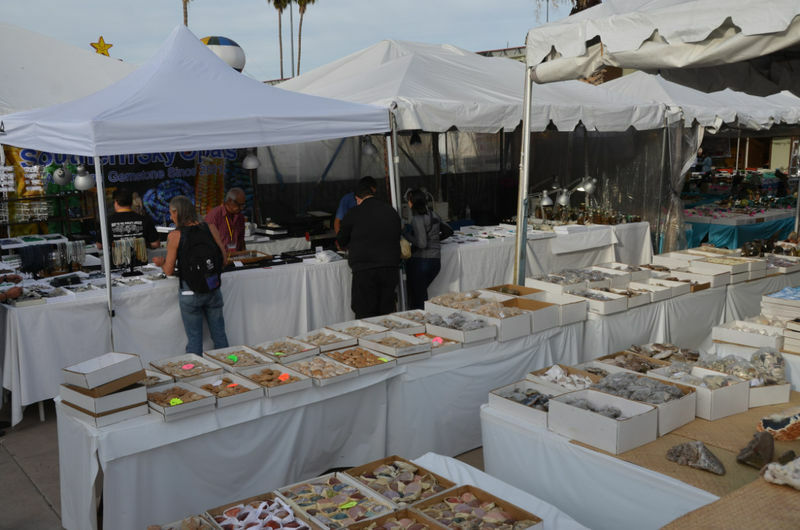 For many folks a $25 price is now $250 at the larger shows; only set so the dealer can attempt to financially break even while the customers cannot afford those prices for middling quality specimens. 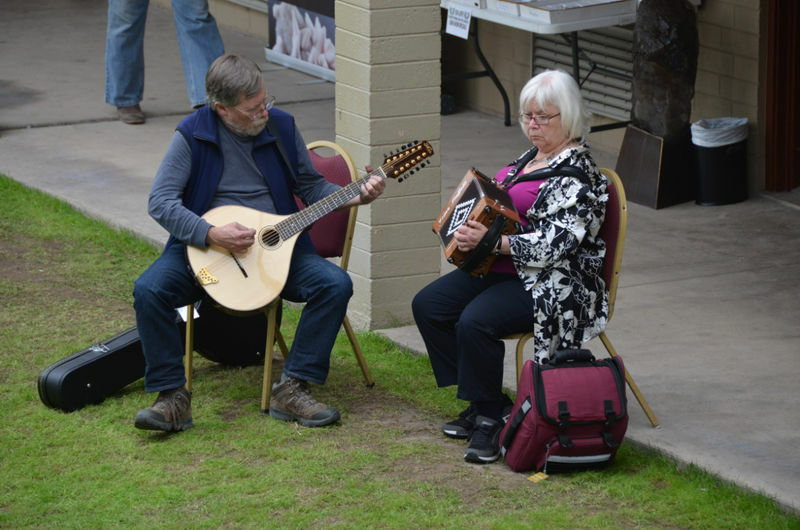 I am often surprised at how many adults have no hobbies (except perhaps TV), but a worrying trend is the youth of today that have become 'usurped' by the social media (smart phone). 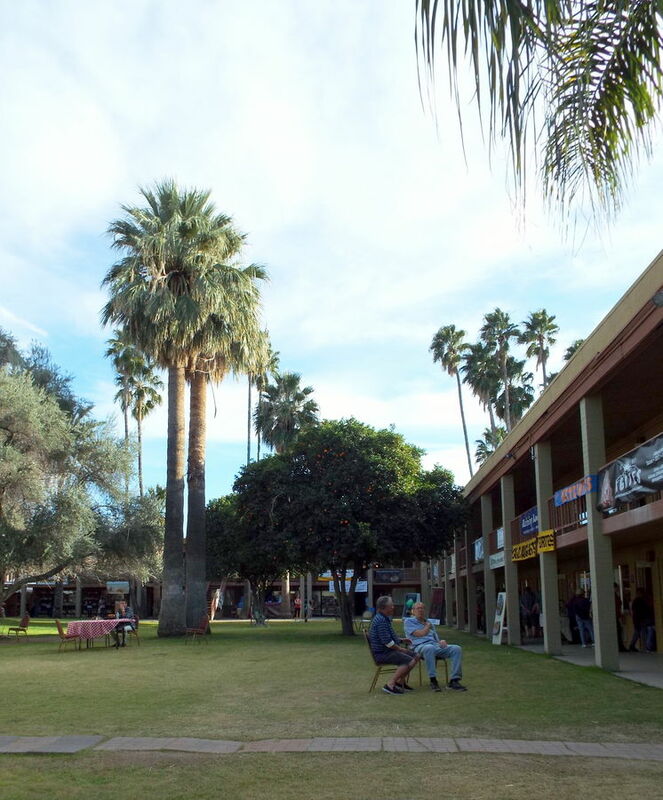 Here are some old photos from Tucson 2017. Just got around to posting them with Jordi’s great cooperation. The last one was posted before but it fits this group so well that I thought to post it again. 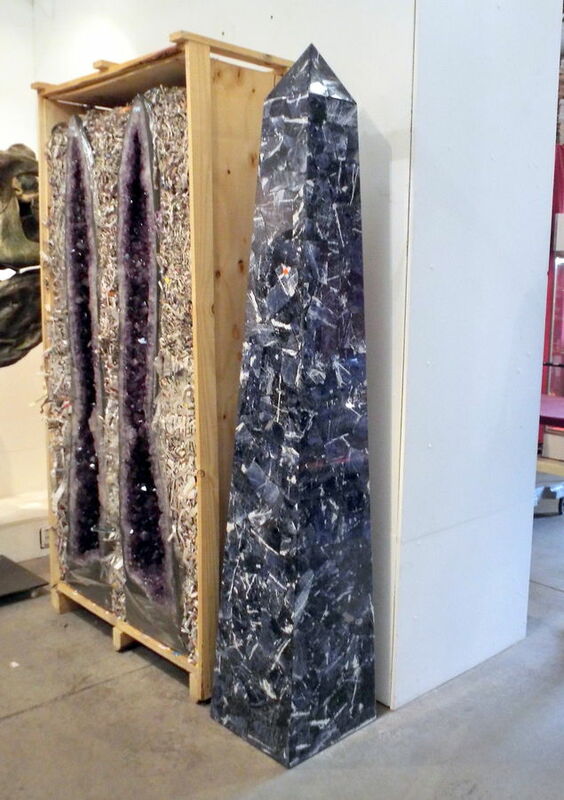 Pair of obelisks with a fantastic slice through an amethyst geode from Brazil in the distance. 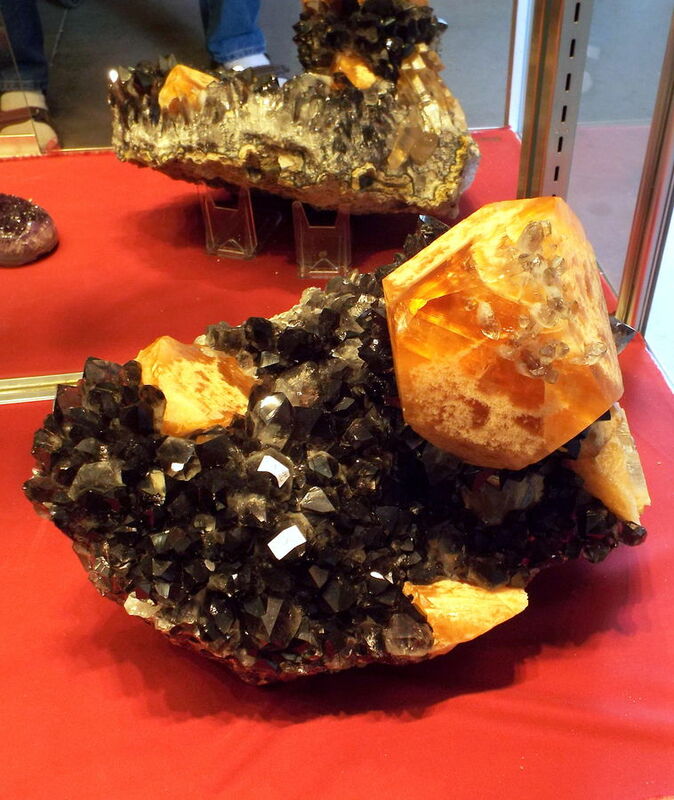 Very large calcite crystals on amethyst, Brazil. Sorry about the color of the amethyst. 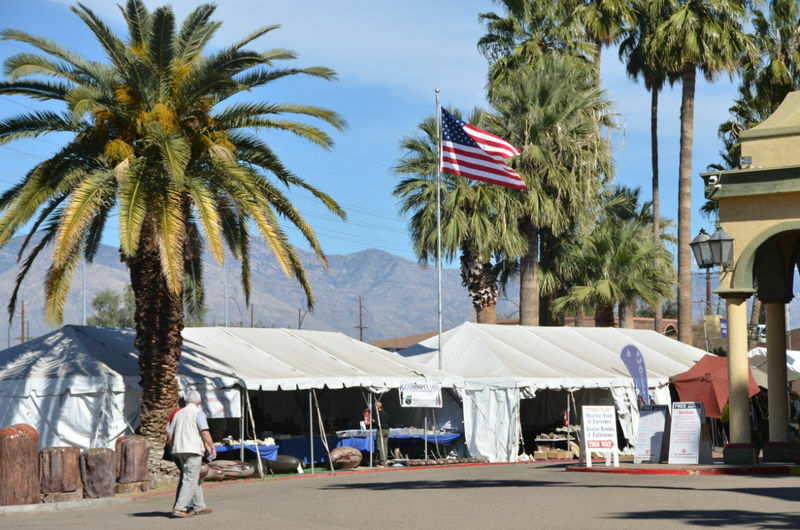 This year, for the first time in many years, I did not run a selling room at Tucson, and so I could wear a buyer’s hat instead of a seller’s hat while moving around the Show. 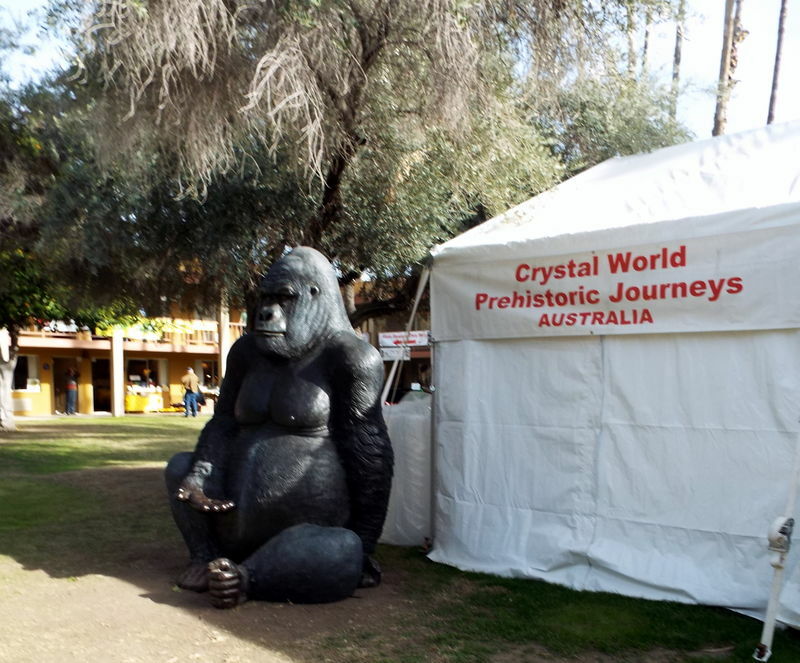 From this new and perhaps more objective viewpoint I formed an impression of the health of the Show, and of the health of big mineral shows in general, that is more optimistic than the impressions of many other observers. 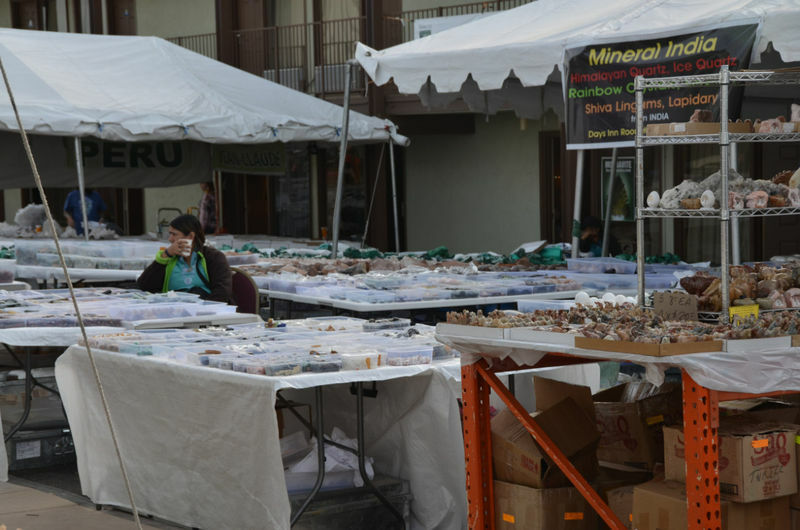 Without quite echoing the cliché that this is a “golden age of mineral collecting,” I’ll pass on my impressions that there have never been so many mineral collectors as there are now, and that the number of new mineral finds, and in fact the sheer volume of mineral transactions, are as high as they have been, so for me is no real justification for sentimental nostalgia about the “wonderful years” of the past. Is total attendance at the shows dropping? On the contrary, the attendance figures have remained fairly stable year after year, and if they are changing at all it has been to increase. 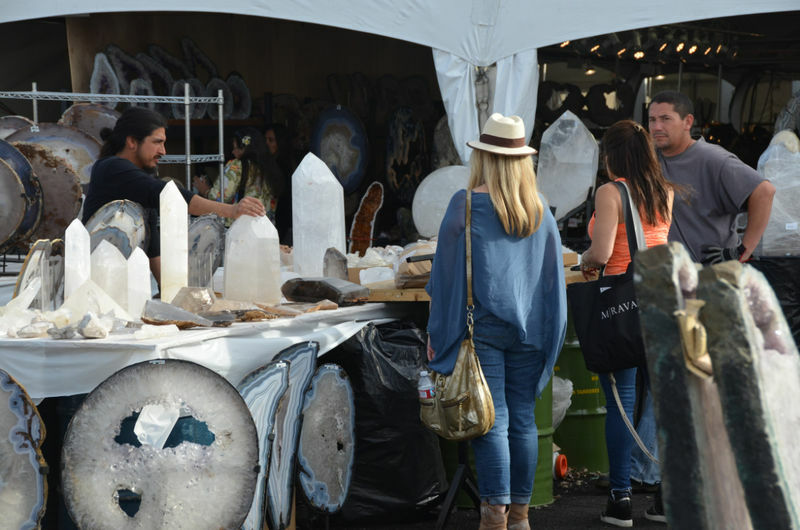 Each year more dealers come to the shows (attracted perhaps by the thought of making big profits during this “golden age”), and naturally the show visitors are more spread out among these many new dealers and new show venues, such that to look at any particular spot is to see fewer people per hour moving through. Could this be what is giving to some the false impression that overall show attendance is down? 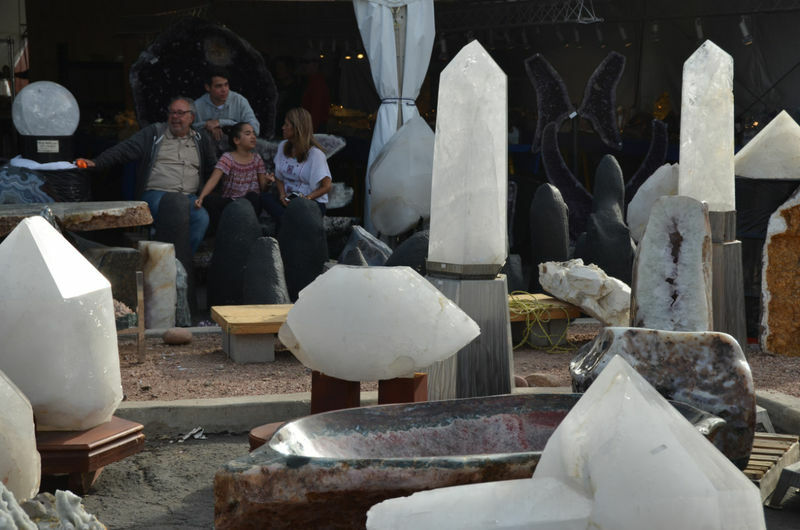 Are there fewer new mineral discoveries each year for dealers to offer at shows? To judge from my own experience over the years, no, there are as many new worldwide finds now as there have been. True, most of these new finds are limited as regards numbers of specimens that they produce—it is no longer common for hundreds or thousands of specimens of some new kind to suddenly come from a great locality like Tsumeb or Ojuela. This is because most mines today work “mechanically” rather than “manually,” and a distressing number of potential specimens get destroyed. 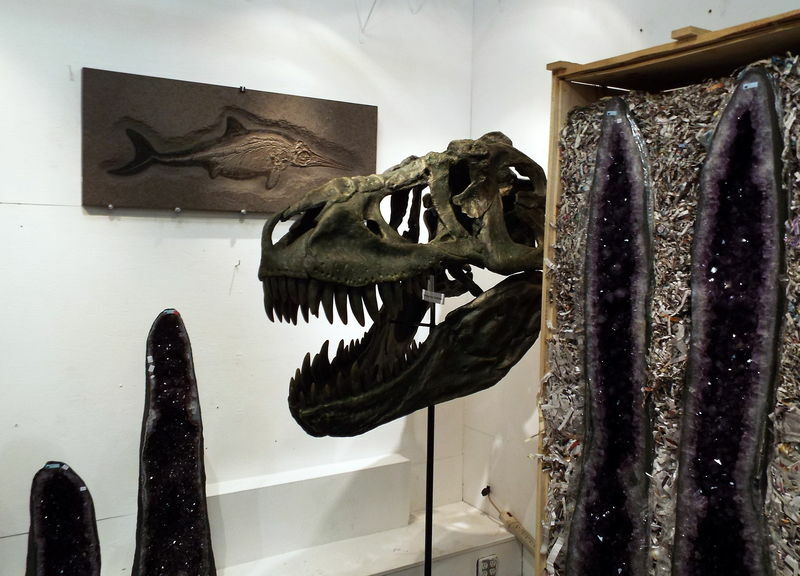 It is also true that a new lot of specimens is much more likely today to be “atomized,” i.e. 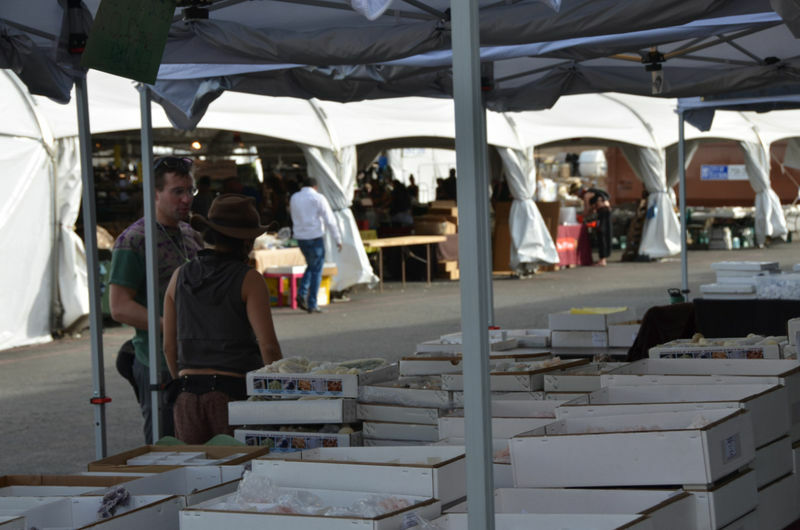 spread out quickly among many dealers (much more than in the past) due the greater possibilities they have to sell the new discoveries faster and easier than in the past. 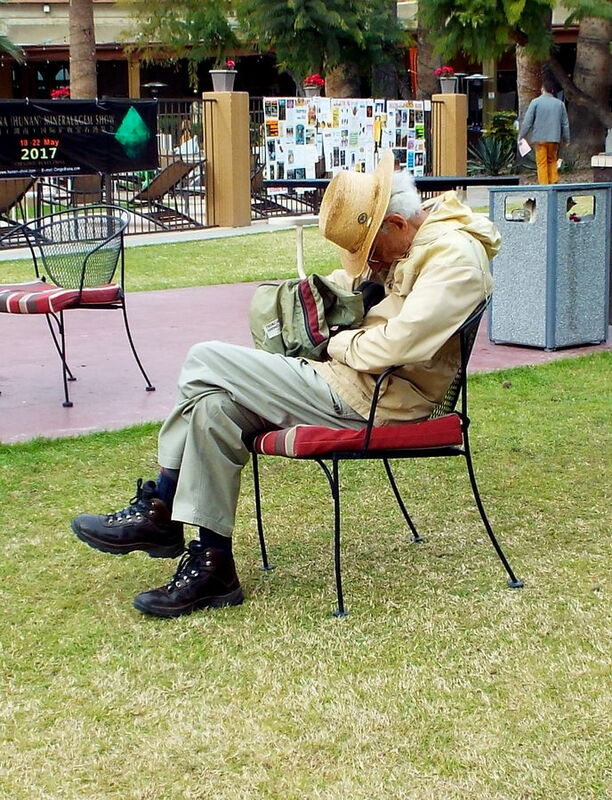 Are all of the really serious collectors older people who won’t be replaced when they fade from the scene? 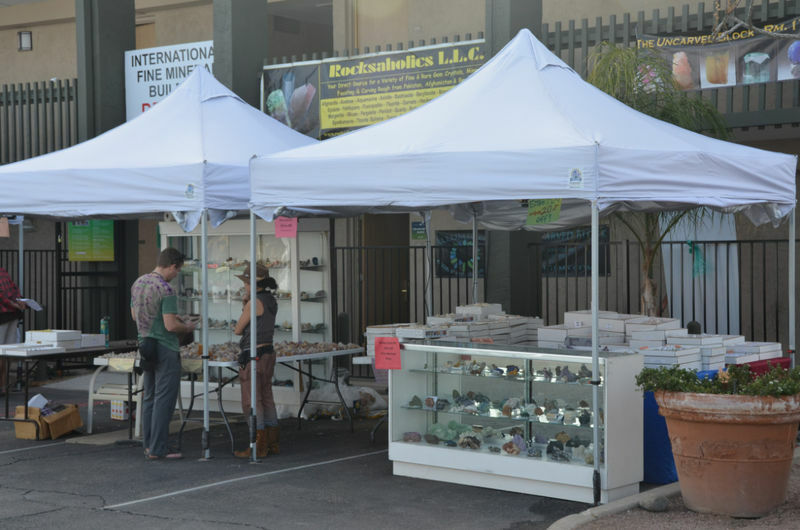 Well, my impression here could be wrong, of course, but from my “Internet watchtower” I see that a very considerable number of today’s mineral collectors are middle-aged or young. Perhaps they are not so conspicuous to other observers because they are young, and still learning, or even because they are being sheltered in some ways by their trusted Internet dealers. But I do think that there is a strong trend of new people’s coming into the hobby; I think that there is a huge number of younger collectors who, though perhaps Internet-dependent for now, will mature and grow, in good time, to replace today’s “classic” collectors, at shows and elsewhere. 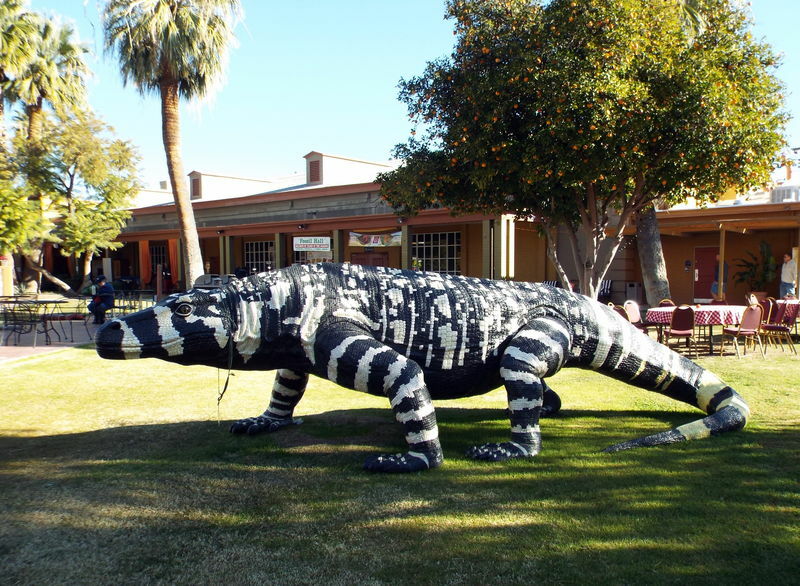 I think that this latest edition of the Tucson Show, with all of its internal politics, unbalanced balances, and odd underground movements, was in general healthy, and very strong. 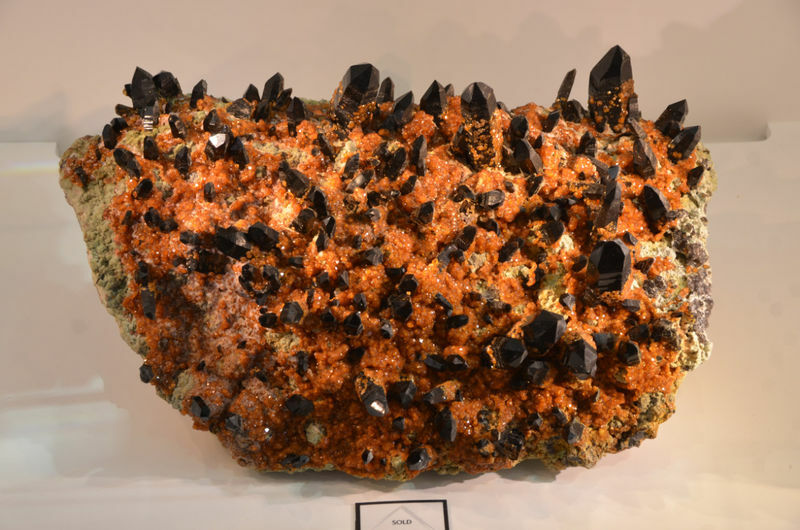 And I think that the hobby of mineral collecting itself enjoys better health now than ever before. PS: thanks to Tom Moore for the translation of this text and make it comprehensible. 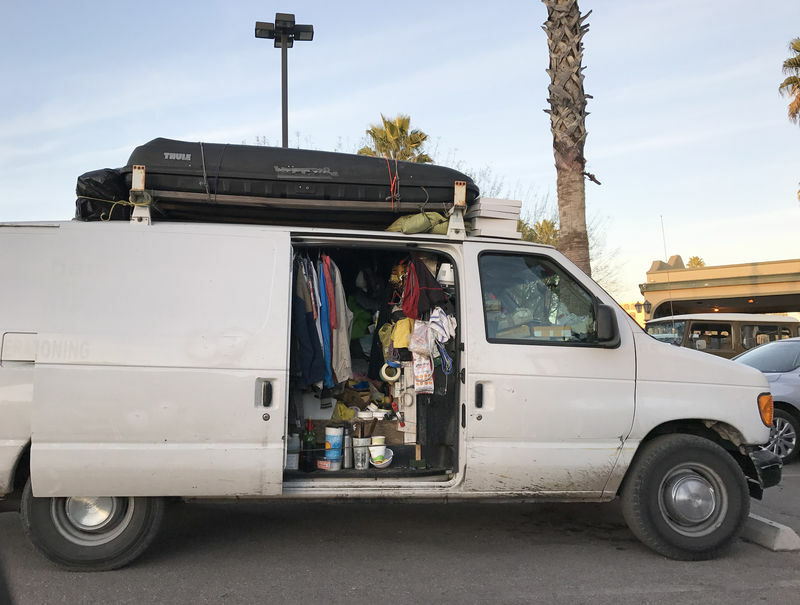 Tucson is a funny/crazy Show. 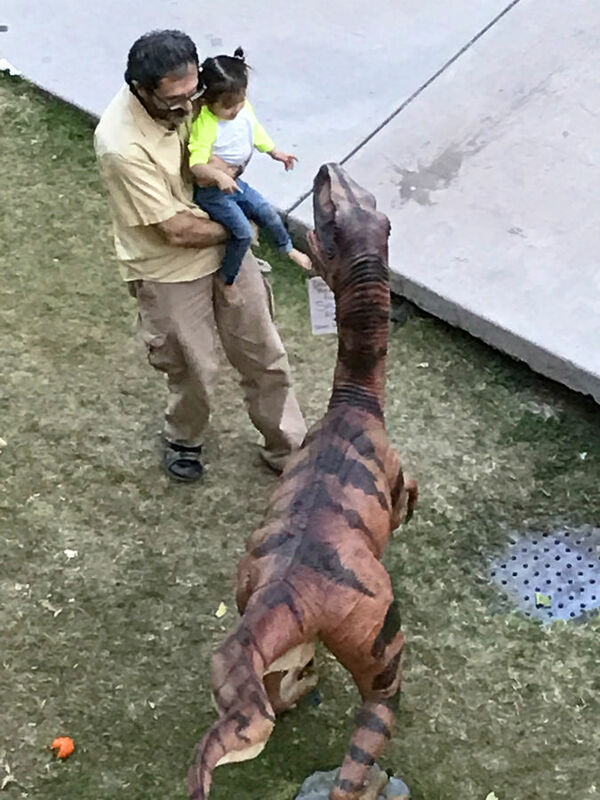 ...but is also a lovely Show, with people doing a different kind of life there and enjoying the peculiar world that Tucson is, like Alfredo Petrov and his daughter Rumi. Thank you for the detailed answer Jordi. 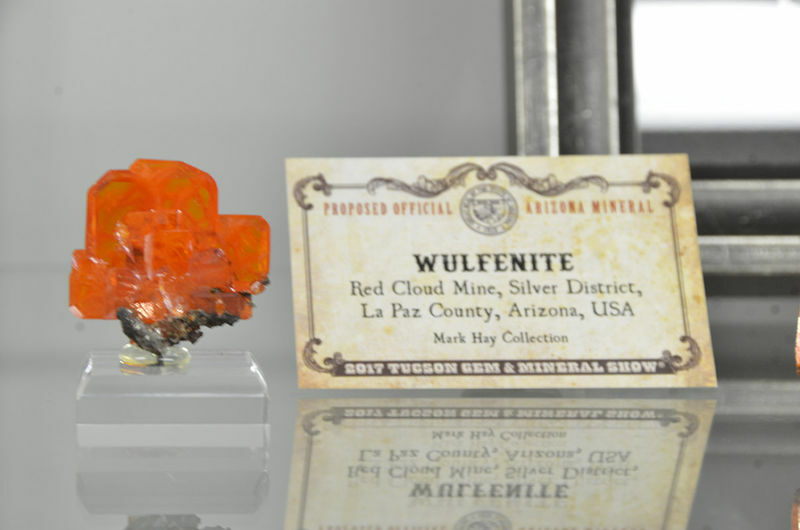 Posted: Apr 06, 2017 09:01 Post subject: Tucson Show 2017 - Wulfenite win! 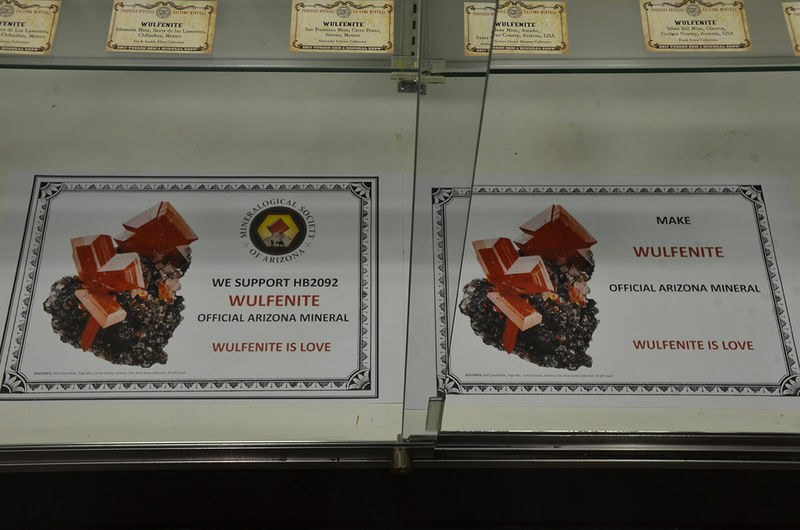 Wulfenite is now the Official Arizona State Mineral! 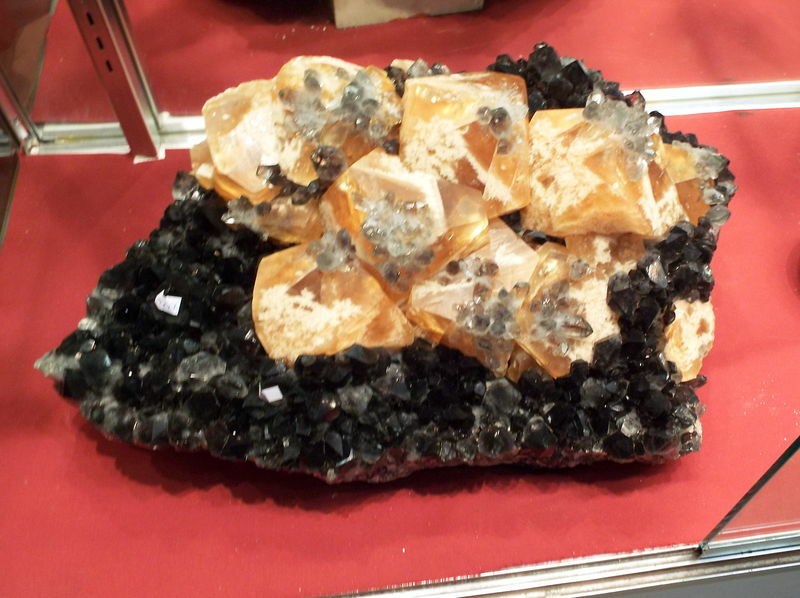 Regarding the Mn Calcite on Kutnohorite from Palmarejo, was this in a dealers booth for sale or in a collectors showcase? DANIEL P, Welcome to the forum! Daniel, the answer is neither. It's one of my specimens in my collection. I acquired from a dealer but not at the show during the show. If this makes sense. 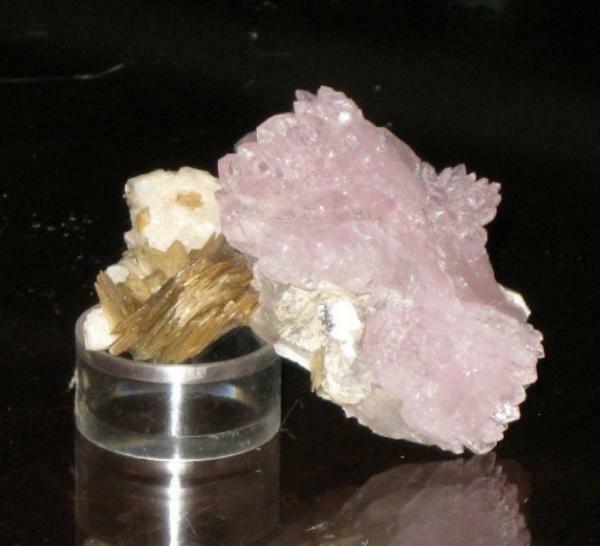 The kutnohorite is sitting under the specimen.